If you’re planning the camping trip of a lifetime and you’ll be flying to get there, it’s understandable that you might have a few questions about traveling with all the gear you’re going to need. Checking a suitcase is one thing; checking everything for a week in the wilderness is another. Luckily, innovations in camping gear happen continually, making it easier and easier to find lighter equipment that packs down into manageable sizes. That being said, you still need to get from point A to point B with more items than you might be used to hauling around — especially aboard an airplane. If that’s the case, we’re here to help. 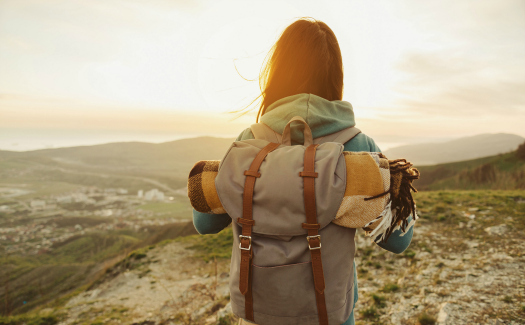 Read on for our tips for flying with camping gear. One of the keys to traveling with camping gear is to pack as light as possible to begin with. We don’t suggest skimping on the necessities, but investing in lightweight camping gear can save you a lot of time and hassle. Everything from tents to sleeping bags to sleeping pads and pillows are available specifically for hiking and backpacking trips – as in, they’re meant to be carried. If you can, opt for equipment that was designed to be transported so you can set yourself up for an easier time before you even book your flight. Quick tip: If you can’t or don’t have time to get yourself lightweight gear, find out if you can rent camping gear at your destination and, if so, how much it will set you back. Depending on where you’re going, tents, sleeping bags and sleeping pads are often available to rent. 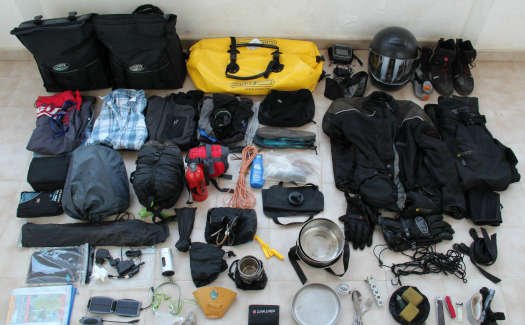 When it comes to packing, as with gear, the lighter the better. Start by cutting the amount of clothing you carry – travel detergent is your friend. Or better yet, bring a multipurpose soap like this one that can be used on everything from clothes and skin to camp dishes. Leave your bulky, hard-to-dry jeans at home and, instead, pack layers of lightweight, breathable clothing and extra socks. In addition, it’s a good idea to get a set of good micro-fiber towels. They are amazingly absorbent, dry fast and even the beach towel-sized versions fold down to a tiny parcel. A compression stuff sack can also help with packing because, as the name suggests, it compresses what you put into it making it even more manageable. When it comes to food, there are a few ways to keep bulk down to a minimum. One-pot meals are your best bet as is multipurpose cooking gear that can be packed in an organized fashion or with a nesting design. Depending on where you’re going and whether you can buy camp food when you arrive, think about stocking up on some freeze dried meals. They are light, easy to pack and just need hot water and a bit of waiting time to prepare. There are numerous options, from chili to pasta, but read reviews before buying as they’re not all created equal flavor-wise. 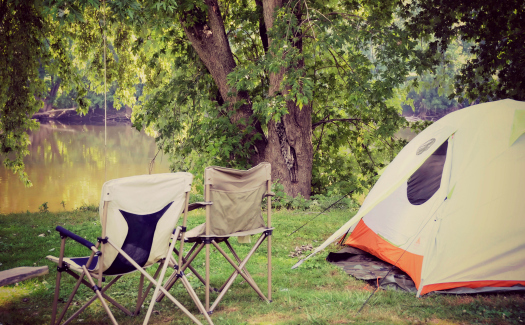 Not all of your camping gear will be allowed in carry-on bags. According to the TSA website, camping stoves can be carried on but only if they’re empty of fuel. Also note, if the stove was previously used, make sure it is cleaned well, so there’s no noticeable vapors or residue. Camping fuel, burning paste and gel fire starter are not allowed in carry-on or checked bags, nor are propane tanks. Make arrangements to acquire these supplies at your destination if needed. As long as you’re keeping liquid limits in mind, insect repellent can be packed in a carry-on bag, if it adheres to the 3-1-1 rule — otherwise it should be stored in checked luggage. Note, insecticides like ant killers are not allowed in carry-on or checked bags. Cutlery and knives, as well as any other sharp items, will have to go in checked luggage. Depending on the size of your backpack, it’s a good idea to call your airline to find about permissible carry-on size and weight allowances. For anything you’re unsure about, check the TSA website. The search function at the top right of the homepage allows you to type in the item in question and you’ll get immediate information about whether it can be carried on or if it needs to be checked.